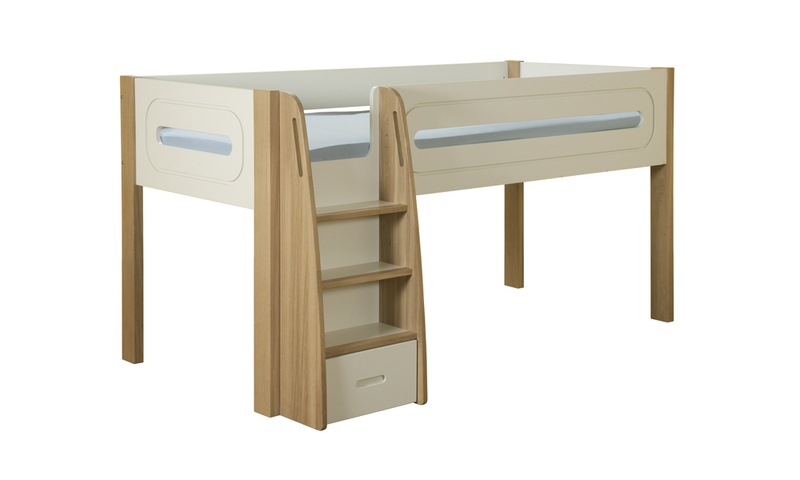 This distinctive mid sleeper bed, 3 drawer chest and cube unit by Stompa are truly superb. 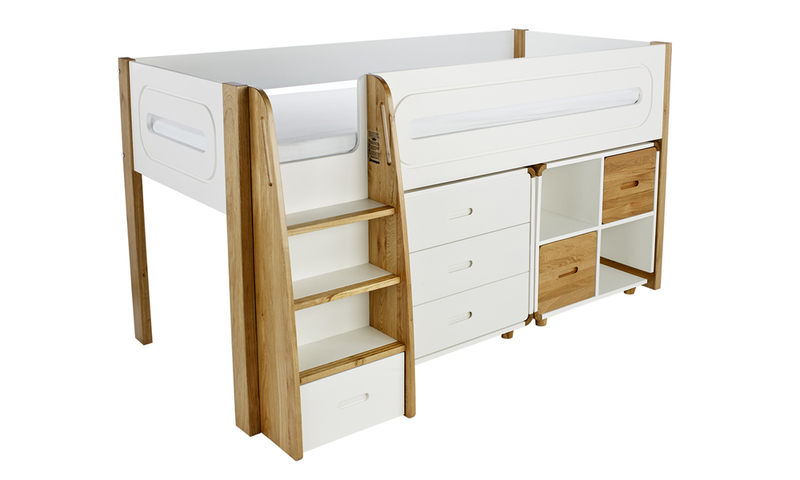 Finished in Silk White and Solid Oak with stylish curved features the bed is a great space saver with a sturdy ladder, deep steps and hand holes for safe climbing. The bed incorporates a useful integrated storage drawer on the bottom step. 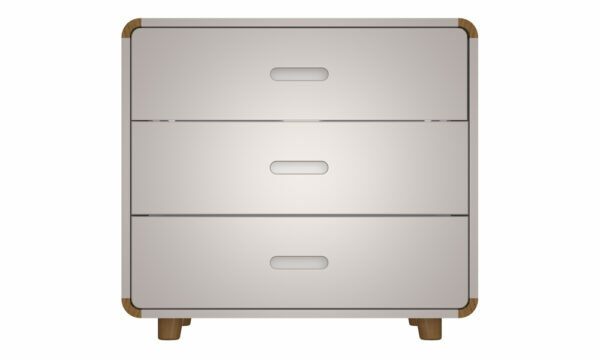 The 3 drawer chest fits neatly under the bed or can even be a perfect standalone piece. 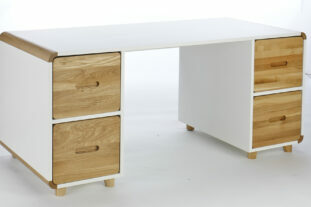 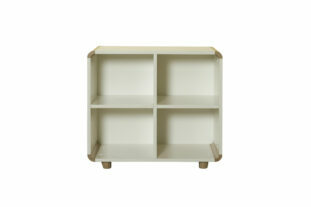 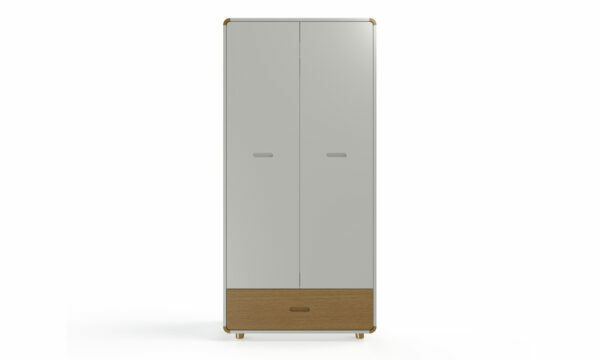 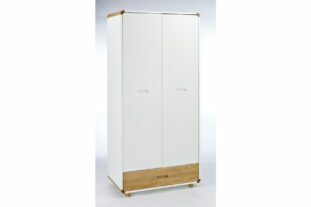 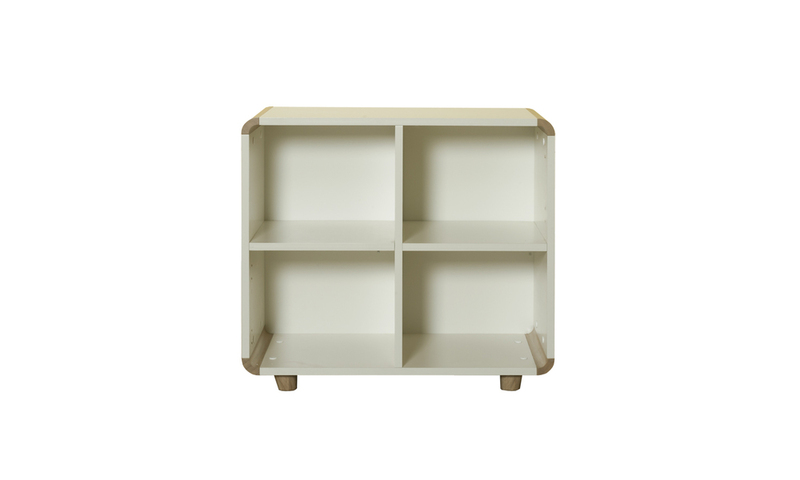 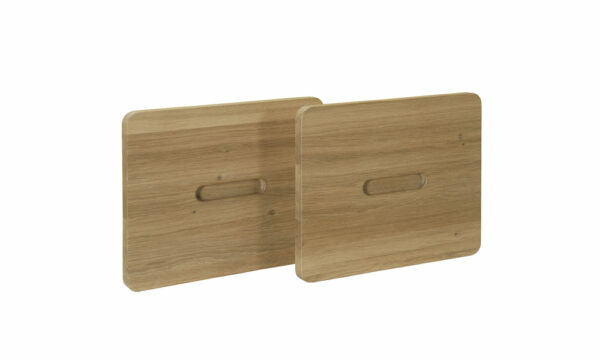 The cube unit comes with 2 Oak doors offering an ideal storage solution. 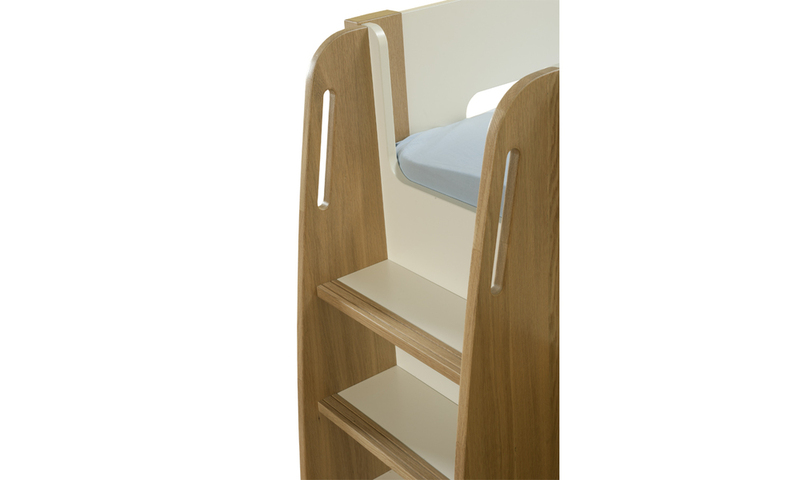 Additional furniture can be added under the bed so you can tailor storage or study requirements to suit your needs.